“Where should I sell skins?”. 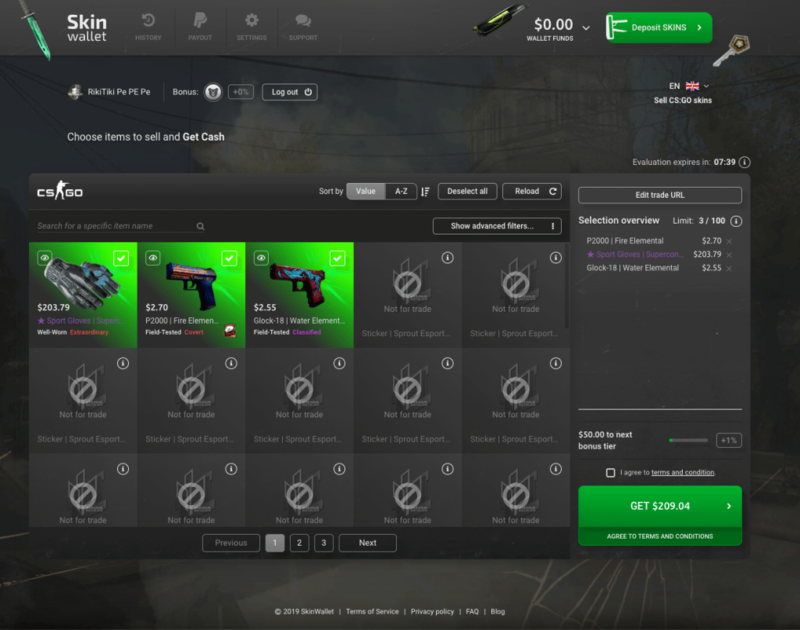 “What is the best way to sell skins for cash?”. “Help, I got new skins and want to sell them for a good profit.” Despite dozens of such discussions already present on all major forums and social media, new people ask the same question almost daily. So, what is the best way to sell CS:GO skins? Well, it depends on what you want to gain. In this article will go through 4 main ways in which you can sell your unwanted CS:GO skins, but first, let’s do a short run-down of how you can get a new CS:GO skins, to begin with. There are basically two ways in which you can get new skins. The easiest but time-consuming way is just to play Counter-Strike: Global Offensive. You just have to play on any server that is VAC enabled with at least one other player. Then, you are entitled to skin drops. You can get at most 4 drops per week, among which one is for a level up and three are just random and are usually cased, so you will have to buy a key. Unfortunately, statistics are not on your side, as most of the drops are cases which have only a small chance for a rare skin. If you have some funds you can put into skin trading you may want to buy skins from Steam Community Market. However, there are three things. Firstly, you have to have funds in your Steam Wallet. Secondly, as of 2019 people are quite skilled in trading s it may be impossible to attain skins for real bargain prices. Lastly, your account has to have a number of features to be allowed to trade at the Community Market. We wrote about the Market restriction in the past, so check it if you’re interested in more info. Yet, you may want to decide to buy skins at the Community Market regardless of their high price in one case – when you want to cash out your Steam Wallet. 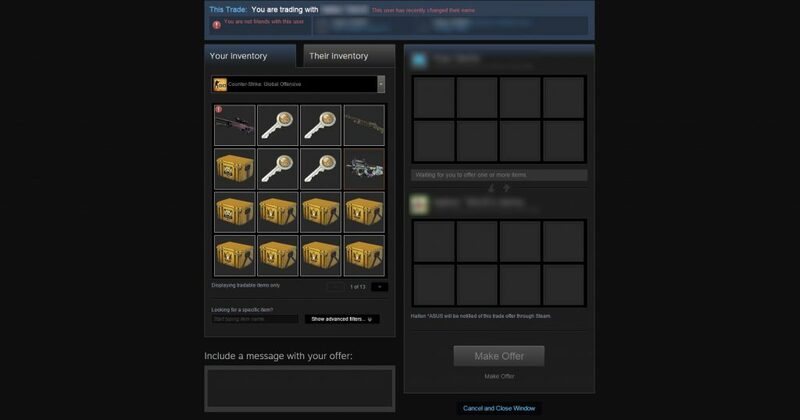 Steam doesn’t allow any payouts, therefore buying some skins on Market and selling them at SkinWallet is one of the best ways to cash out your Steam Wallet funds. Below you’ll find what we consider as the best ways to sell skins. Each has their own pros and cons, but ultimately they “best one” depends on how much time and knowledge you have and what is your final goal. Is it to monetize your assets outside Steam environment? Trade for more skins? 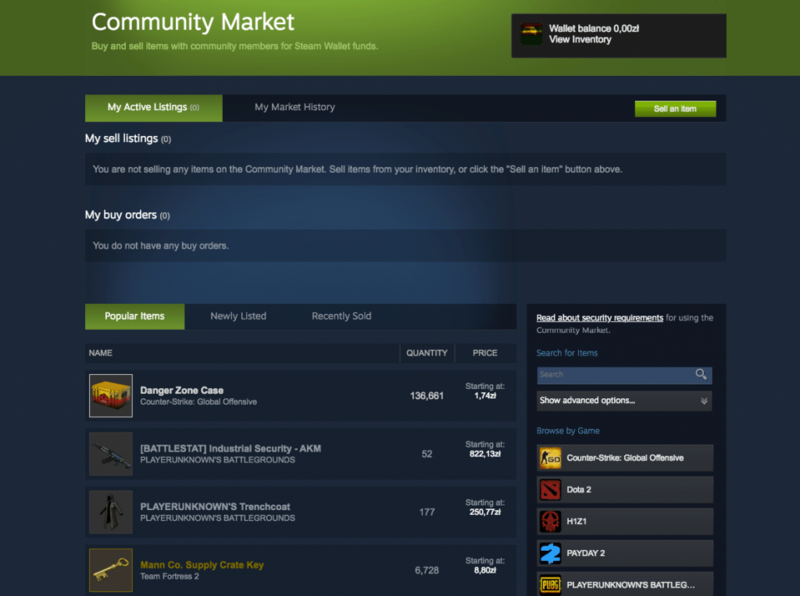 Steam Community Market is the official steam market run by Valve itself. It is characterized by high prices and high amount of offers for the same item. It is also one of the safest places to sell your CS:GO skins. However, there’s no way cash out the funds from skins sold in that way. The money will remain at your Steam Wallet and can be redeemed only on digital goods from their platform. For example, you can buy a new game, a card pack to level up your Steam account or a gift card. Still, if you want to use the cash from skins outside Steam environment, you’ll have to look for other ways to sell your skins. Another way to get a deal is to manually find someone interested in the skins you want to sell. By selling skins is such a way, you have a bigger chance to talk the deal through and ensure both sides get what they want at the prices they want. There are many websites, forums, and Steam groups that allow you to list your offer. The downside is that selling skins that way may be very time-consuming and the money, in many cases, will still be held at your Steam Wallet. Additionally, Steam adds its fee to the equation. The current Steam Trade fee is 5% and the Counter-Strike: Global Offensive fee is 10%. That gives you 15% more for the buyer to pay which in turn can lower your own profit considerably. Also, there are scams, a lot of them. Even though Steam trading system is very restrictive and they place trade holds if they catch even a glimpse of something fishy, they still can’t eradicate scams completely. The best piece of advice we can give you is to always double or triple check every transaction and every item in the trade. It is always good to verify the other trader – if he or she is active in the trading community you can check their references. Otherwise, triple caution is advised. If you want to sell your CS:GO skins in a way similar to Steam Market but want to enjoy your money outside the Steam environment, or example by paying out the money to a Paypal account, you would need to visit one of the many privately owned marketplaces. These work similarly to Steam Community, except they aren’t as safe, as restrictive and as expensive. As the prices will be generally lower than those at Steam Market it is often easier to find a buyer for your skin. You can think about those lower prices as a Steam Wallet payout fee. After all, you’ll be able to enjoy that money in much more ways. The other downside to this is that such markets are often vulnerable to price dumpings or speculations, so you have to be extremely careful and know a lot about the market state while listing-out your offers. Moreover, getting your items sold that way can become very time-consuming and there’s no way to be sure that you’ll find a buyer for your skin. These are not marketplaces per se but will buy every skin that fits their criteria. 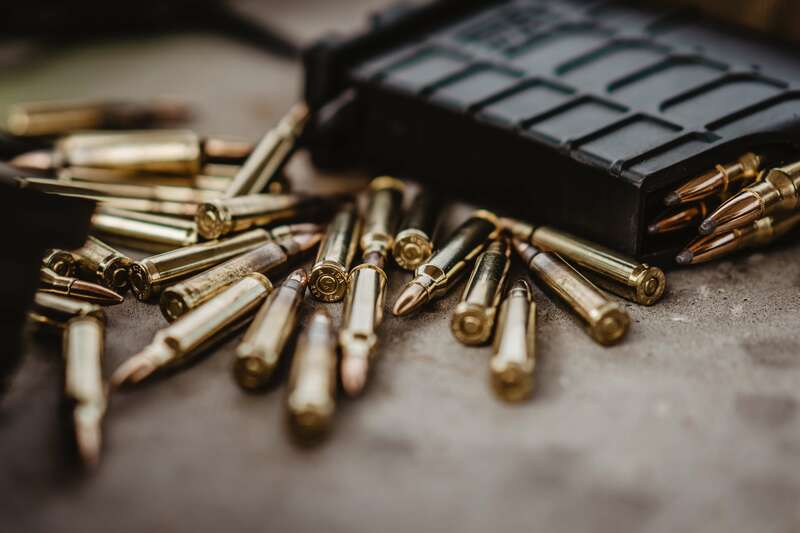 Even though the price will be lower than those on Steam Market and third-party markets, you will be able to sell CS:GO skins for cash almost instantly. There are multiple sites that offer such services and SkinWallet is one of them. What differentiates us from other sites is that we simply pay the highest prices for your CS:GO skins. Just try it out for yourself. Are there any other places or ways in which you tend to sell your CS:GO skins? What do you look for when trying to sell your skins? Please, share your thoughts with us in the comments down below.